Katelyn Spadalik is a certified physician assistant practicing at Schweiger Dermatology Group. Katelyn earned her Bachelor of Arts degree in biology from Pace University in Pleasantville, New York. She went on to earn her master’s degree in physician assistant studies from MCPHS University in Boston, Massachusetts. 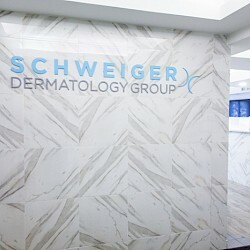 Katelyn completed the PA training program at Schweiger Dermatology Group, where she trained alongside top dermatology providers and gained firsthand experience in both medical and cosmetic treatments and is now providing a wide range of dermatologic care.